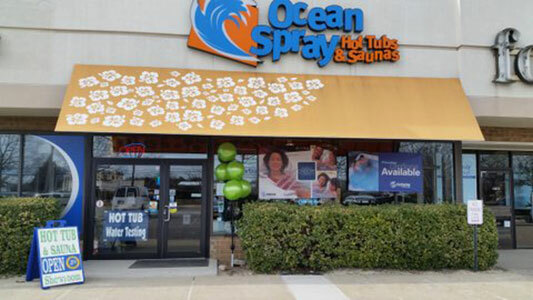 For many on Long Island, the phrase “hot tub” is synonymous with Ocean Spray Hot Tubs & Saunas. (It’s only natural when your business has been around nearly 40 years.) However, for the last year and a half, the Ocean Spray team has made a collective, concerted effort to change what people think of when they think of the company. Instead of “hot tubs,” they’re going for “wellness.”According to Marketing Director Kristy Verity, the shift was inspired by Watkins’ rebrand as Watkins Wellness. “We’ve been working to really emphasize the message of wellness and hydrotherapy and hydro-fitness. We want wellness to be a household term and a household thing to do,” she says. A manufacturer has the platform and resources to capture attention when rebranding; on the dealer level — even a dealer with three locations, like Ocean Spray — it’s harder to do the same. As Verity and her colleagues at Ocean Spray found, committing to the wellness message and getting it across to customers is both an inward and outward process. Here, Verity explains Ocean Spray’s approach to wellness and offers tips for those looking to do something similar. Executing a sweeping change starts, Verity says, with the team that supports you. Staff members were educated on the benefits of hot tubs, saunas and swim spas, and taught how to use those benefits in the sales process. “Our tagline for 2017 was, ‘We’re not selling hot tubs,'” Verity says, “because we wanted them to sell the experience. And now, for 2018, we’re building on that.” With the team well-versed in health benefits and on board with the mission, the higher-ups at Ocean Spray sought to stoke a genuine passion for the message — to help the team practice what they preach, as it were. “We told our staff, you have to get in it and use it; you can’t sell it unless you use it and experience it,” she says. “We really wanted our staff to be well and experience the wellness lifestyle.” So earlier this year, the Ocean Spray team visited Gurney’s, a high-end resort in Montauk, for lunch and an afternoon of spa treatments. While all of the above were steps in the right direction, Verity and the rest of the Ocean Spray team realized that a commitment to the wellness message would be more powerful if they could get others to join the choir. Verity and Ocean Spray Owner Joe Musnicki began networking with other companies that specialize in health and wellness and explained how Ocean Spray’s products fit into that equation. “We found that the message that these other businesses were trying to get across was similar to ours, but it was hard to reach people,” she says. After a few months, they began planning a way all these health-minded companies could gather under the same umbrella: a health and wellness event, hosted by Ocean Spray. Verity extended invitations to fellow health and wellness companies to come exhibit at Ocean Spray at no cost, a boon for small businesses who struggle with the costs of a home show or expo. The first event was held at the Westhampton Beach location last May, and featured a variety of wellness-focused companies. 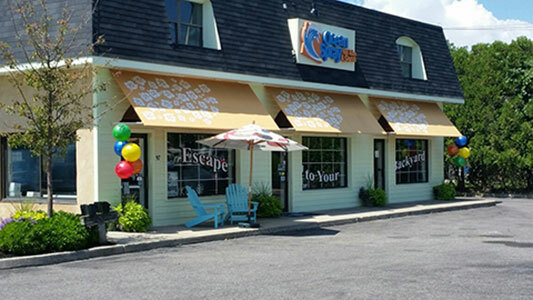 For example, a local yoga instructor offered free classes and massages on the lawn; an all-natural, environmentally conscious beverage company passed out free samples of lemonade and iced tea; staff from a salt cave business explained the benefits of salt therapy and offered free sessions to guests; a solar panel company discussed sustainable energy; a local radio station featured a live broadcast from the event; and Musnicki grilled organic, free-range chicken skewers on a Big Green Egg. Hot tubs, a swim spa and sauna were also on-site and running — guests were invited to bring a bathing suit to try them. Over the course of a day, about 500 people passed through. Spurred by the success of the first event, Verity coordinated additional events at the company’s other locations. Promoting the wellness movement is a great concept on paper, but for many dealers, what happens after that is a bit of an unknown. Ocean Spray spent roughly $5,000 on the Westhampton Beach event, the results of which were impressive foot traffic (a tangible piece of data) and, hopefully, greater awareness of the wellness movement — something that is much harder to gauge. Other dealers would carefully observe sales and leads generated to determine whether such an investment was worthwhile. Ocean Spray’s event strategy begs a question: Can awareness be more important than sales?